Tying Flies. A perfect activity for a rainy day. I eliminated all except two passive sentences in Truth-Teller Revenge. One last read and it goes on to my editor. Roasted garlic and homemade spaghetti for dinner. 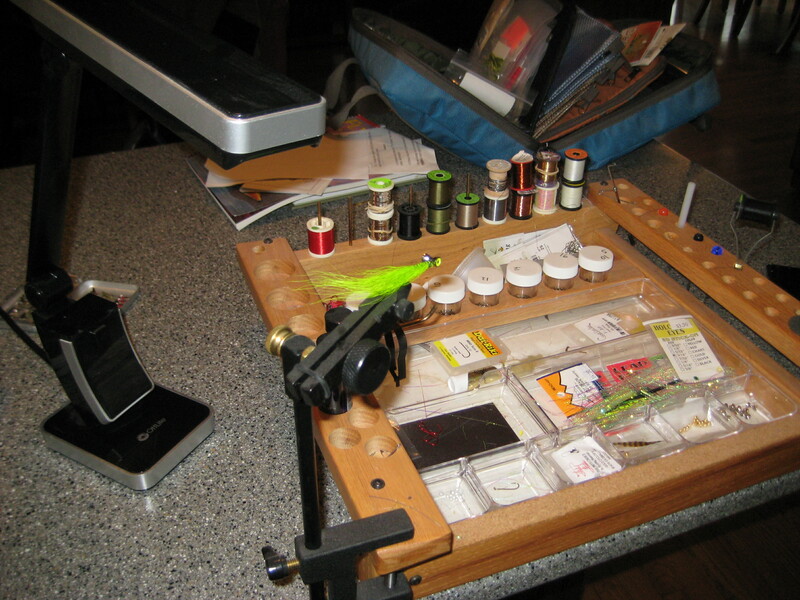 Now some fly tying. There are few things more satisfying than catching a trout on a fly I created. Otherwise it’s a wet, dreary day in Poulsbo.